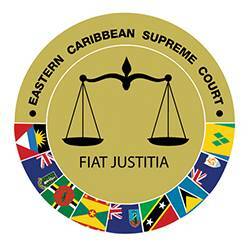 On Tuesday, 18 September 2018, the Eastern Caribbean Supreme Court will commence the New Law Year 2018/2019 with its usual Ceremonial Opening in the form of a Special Sitting of the Court in Saint Christopher & Nevis. There will be simultaneous special sittings in the other 8 Member States and Territories of the OECS. The proceedings will commence with a church service in each member state and territory followed by the procession to the High Court where the formal sitting will be held. In Grenada, the church service will be held at the Cathedral of the Immaculate Conception, in St George’s, commencing at 8:30 am, followed by the inspection of the Guard of Honour and the formal Court Sitting which will be held at High Court No. 1. The Chief Justice, Her Ladyship, Dame Janice M Pereira, DBE will deliver the Opening Address at 10 am from Saint Christopher & Nevis where the Court of Appeal is scheduled for its first sitting in the New Law Year.